Perhaps you’ve seen news stories that come out every so often about how a computer AI has mastered some new game, proving it’s prowess by besting the best human champions our world has to offer. If you haven’t, hear’s a quick refresher. What’s fascinating about this latest game falling to the processing power of machine’s neural network is the open-ended nature of the game. While games like Chess and Go feature a mindboggingly high number of move combinations and possibilities, all of those possibilities are known to the computer because all of the pieces dictating those possibilities are visible. This kickoff article is the doorway to an entire issue of articles all exploring the world of artificial intelligence here at the beginning of 2019. A team of researchers at Columbia University are working on a system that combines electrodes implanted in the brain to detect brain waves, a voice synthesizer, and a deep learning AI to make it all go. The goal is to be able to produce in computer generated speech the words that the test subject had heard by measuring the brain waves generated by the hearing, processing, and decoding of speech. You can listen to the audio output of the effort yourself. Seeing these behaviors only through the lens of mobile phone apps distorts the picture so much we forget what it is we’re actually talking about. Imagine a flesh and blood stranger paying teens $20 to let the stranger follow them around wherever they went, and record everything they did … with $20 more for every friend the teen brought to the stranger. Meanwhile, Facebook has written code into their product neutralizing the efforts of journalism outfit ProPublica to compile a database of political ads being run on Facebook. The whole point of ProPublica’s work was to provide transparency on the ads being run and how they are being targeted to Facebook users. Facebook has put the kibosh on that work. They’re building their own tool for folks to use, they say, that will be as comprehensive and transparent for users as was ProPublica’s. Facebook wouldn’t lie about that to shield the workings of their money making machine, would they? Last month I highlighted the work Elon Musk and his Nerualink team are doing towards connecting the brain directly to a computer via an electrode implanted inside your head. The goal is straightforward: link the mind to artificial intelligence at the speed of data, without the interface effects of typing, mousing or even speaking to slow things down. But what if the human brain itself becomes the limitation? Designer Keiichi Matsuda’s 4-minute short film explores the ultimate choice awaiting the worshipers of the “cult of productivity.” Take a watch. In his book Life After Google, George Gilder describes the macro-trend that the internet has traversed since Tim Berners-Lee drew up the initial plan for the World Wide Web in 1989: from the information-rich wide open frontier of the distributed Net in the early days, to the centralized “walled garden” data farms of today’s Google/Facebook/Amazon world. Like Gilder, Richard Witt sees the same disturbing trend, and thinks he has the answer. As we used to say in the old days of blogging: read the whole thing. What grabbed me, though, is a small moment when Sinek points out how grand scale and relational humanity are incompatible. This is why large organizations always turn bureaucratic over time. The operation is too large at that scale for the humanity of individuals to continue to humanize the organization. This is a particularly fascinating topic when connected to the budding “zebra” movement of start-up entrepreneurs who are saying “no thanks” the to the hyper-growth mindset of the VC funding world and Silicon Valley. What’s so special about these people? Nothing. It’s their ordinariness that is noteworthy, because none of these people are real people. All of the faces you see here were digitally designed and constructed by an AI algorithm technique known as a generative adversarial network. Every image in that collage is a digital Mr. Potato Head of facial parts, characteristics and data points combined in completely natural looking ways. Oh, the frauds and social/civic havoc this tech creation will be able to wreak. Few characters are more synonymous with the golden age of the Hollywood epic than the two played by Charlton Heston: Moses in The Ten Commandments and Judah Ben-Hur in Ben-Hur. Although the chariot race scene in Ben-Hur is the one that most captured the storytelling and grand scale of production in that classic film, the imagery of Judah chained to an oar in the hull of a Roman warship is the most poignant. This writer takes a deep historical dive into the details of the “galley slave” and their use (or they mythical use) in Roman imperial ships of war. Performance art isn’t my thing, usually. However, every once in awhile, through the magic of the internet, I come across an artist whose work I not only “get,” but which gets me. This work by Jefferson Pinder is just such a work. The imagery of watching six African-American men in business attire silently row themselves to exhaustion is a powerful commentary on the issues of both race and labor. Eight years ago, the flames of the Arab Spring were in full burn mode. Sparked by a pair of self-immolations made in protest in Tunisia, the organic resistance movement used the internet to unexpectedly jump over country borders and quickly spread across the Mediterranean. In the space of two short months, the countries of Egypt, Libya, Syria and Yemen were all pulled into chaos … chaos that continues to burn through blood and treasure to this day. Only one of those two Tunisian men actually died from their self-set ordeals. This is the compelling story of the one who survived. Sooyun Choi is a senior product designer at the consumer genetic sequencing company 23andMe. More interestingly, she is the artist behind 23andMe’s visual brand. Choi designed the bright, colorful chromosome graphics that wrap around the company’s home DNA collection kits as well as the company’s web presence. On her personal site, Choi explains the thought processes that went into the design work, as well as how all the different graphical elements tie together to form a coherent voice for 23andMe’s brand. Her collection of non-work-related artwork is worth viewing as well. As the father of a daughter/aspiring artist, I love seeing examples of how people’s passion for making art can be a fruitful career in ways beyond the traditional one of selling art as art. 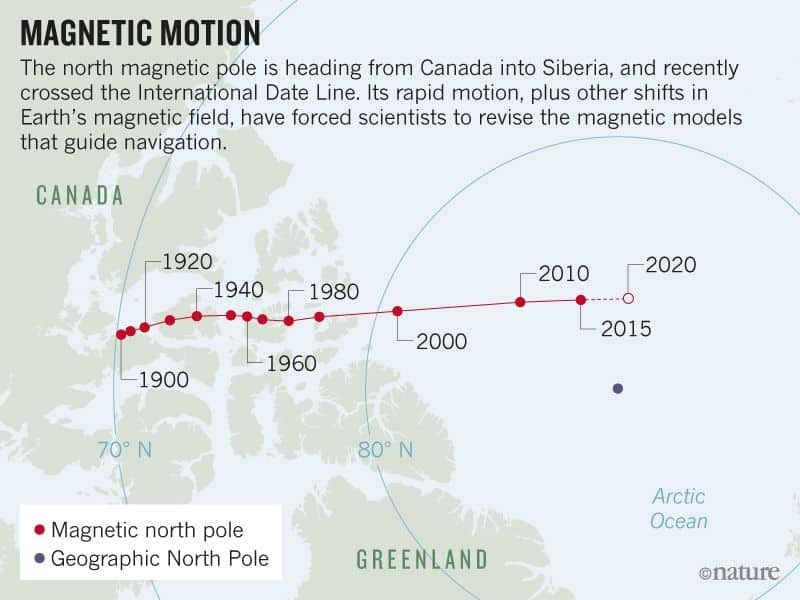 There are so many areas all around us where change is happening on an exponential curve, making it nearly impossible to envision what is coming in even the near term. For example, the amount of information that gets transmitted wireless-ly across the cellular radio spectrum is about to get freaky fast with the advent of 5th Generation mobile internet technology. Confusion about 5G abounds thanks to the marketing spin by US mobile carriers, all fighting to find ways to “claim” the title of first to roll out 5G services. Profit-driven storytelling efforts aside, though, this article by MIT Technology Review explains how China is racing ahead to do the real, infrastructure-building work needed to support a 5G data ecosystem. It’s truly hard to overestimate how radically different our world is about to become when everything is connected and constantly communicating with everything else. While researching for a presentation this week, I found myself enjoyably falling down an informational rabbit hole on the technicals of how the computer you’re reading this on works. Along the way I came to this fantastic explainer on the integrated circuit — its history, its design, and its manufacturing process. More so than the invention of the “computer” more generally, the invention of the integrated circuit makes possible nearly every technological innovation you are enjoying right now — and the mind-blowing future just around the bend. Not all the things that are “interesting” are fun to read. This investigation into the horrific shooting at Marjory Stoneman Douglas High School last Valentines Day by the South Florida SunSentinel is worthy of a Pulitzer Prize, in my opinion. Combining an exhaustive amount of evidence in a variety of formats, the SunSentinel presents the facts of what happened that day with brutal clarity. Through maps, audio, video, and animation delivered in an interactive website, the SunSentinel lays out the facts in a minute-by-minute narrative that makes plain the shameful failure of leadership on behalf of the command staff of the Broward County Sheriff’s Office, and the utterly preventable number of deaths that resulted from it. And, to be sure, the failures weren’t just limited to the command staff. If the name draws a blank, go back into your memory banks and recall your high school days learning about things like polygons, obtuse angles, and isosceles triangles. If any of those ring a bell at all, then what you once learned (and possibly have forgotten!) are some of the fundamental concepts of Euclidean Geometry. Over two millennia ago, Euclid (a Greek mathematician from the Egyptian city of Alexandria) recorded his geometric system in a series of 13 books called The Elements. In 1847, Oliver Byrne reproduced Euclid’s first six books, with the addition of colorful diagrams and illustrations that made Euclid’s work simple(r) to understand. Now, Byrne’s work has been reproduced as an interactive website that is a gorgeous homage to both Euclid and Byrne, and a vivid example of the value and artistry of digital data viz tech. Evidently there is an annual set of awards given out for the most beautiful, creative and informative examples of data visualization. 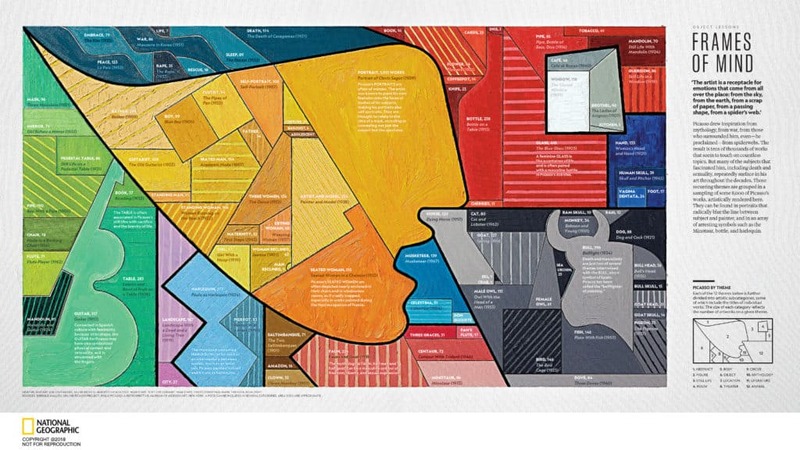 They are known as the Kantar Information Is Beautiful Awards, and this year’s recipients are worth a look. Pink Floyd notwithstanding, the far side of the moon is not actually dark. It is, however, now home to a soft-landed spacecraft from Earth for the first time in human history. 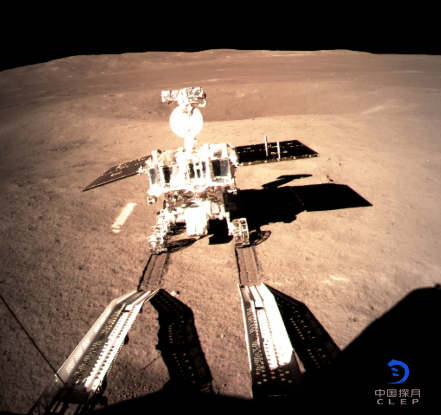 China not only pulled off this feat this week, but once landed, they dropped a ramp down and deployed a 6-wheeled rover to do some sight seeing. Even more interesting is the support mission and systems put in place to insure continued communication with their rover and lander. Earlier this summer, China launched Queqiao, a communications relay satellite designed to park in a “halo orbit” around the L2 point that is about 60,000 km past the far side of the moon’s surface. Once on station, Queqiao deployed a pair of microsatellites — Longjang 1 & 2) to complete the communications coverage. 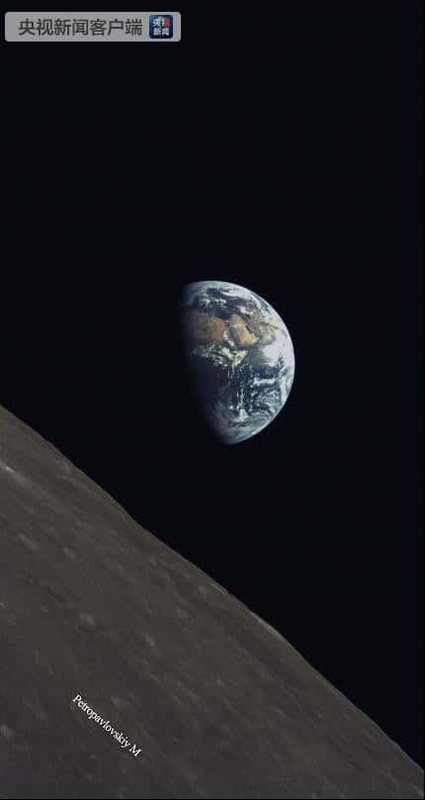 Only Longjang 2 entered lunar orbit as designed, putting it in position to be the first to capture a photo of Earthrise from the lunar far side by something other than an Apollo astronaut.